Canadian junior miner Allana Potash Corp. (TSX:AAA) has agreed to be acquired by fertilizer giant Israel Chemicals Ltd. (ICL) after it failed to raise the capital it needed to remain as a standalone company. 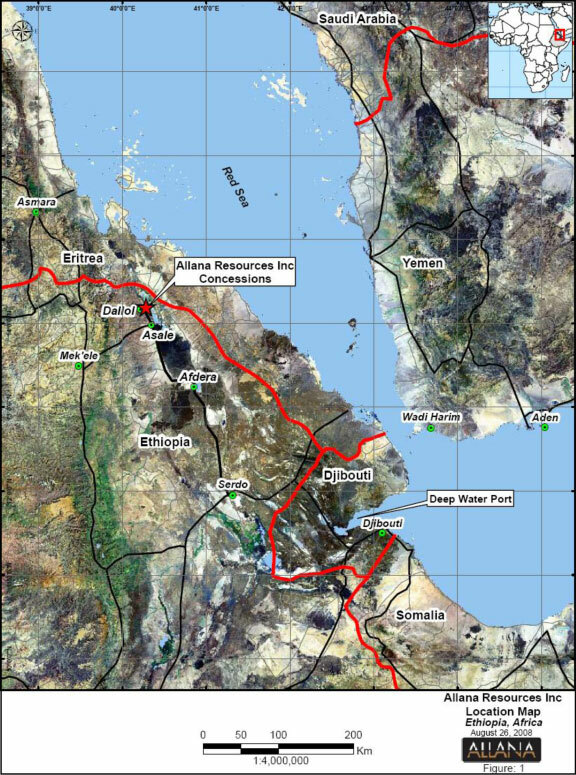 The $109.50 million takeover(or Cdn$137M), aims to speed up development of Allana’s promising Danakil project in northeast Ethiopia. “Considering the generally challenging financial environment for junior mining companies, we would expect the short and long-term financing needs of Allana to include potentially significant dilution to Allana’s current shareholders,” Allana chief executive, Farhad Abasov, said in the statement. It’s been a brutal two days on the copper market with prices falling nearly 10% since Monday. Containing the losses to single digits was only thanks to a late recovery in New York on Wednesday. Earlier in the day the price dropped 8% on the London Metal Exchange while losses in Shanghai could’ve been worse if the daily down limits on the Chinese exchange hadn’t been reached. Many market observers (including your writer) believe prices won’t stay down at these levels which are the lowest since July 2009 – the height of the financial crisis. 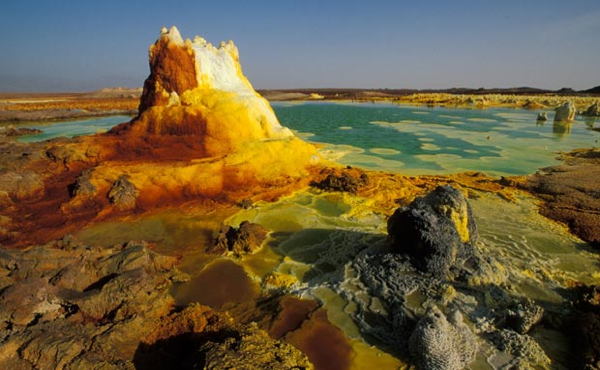 Between them the planet’s top ten producing mines have proven and probable reserves of 42.3 billion tonnes. 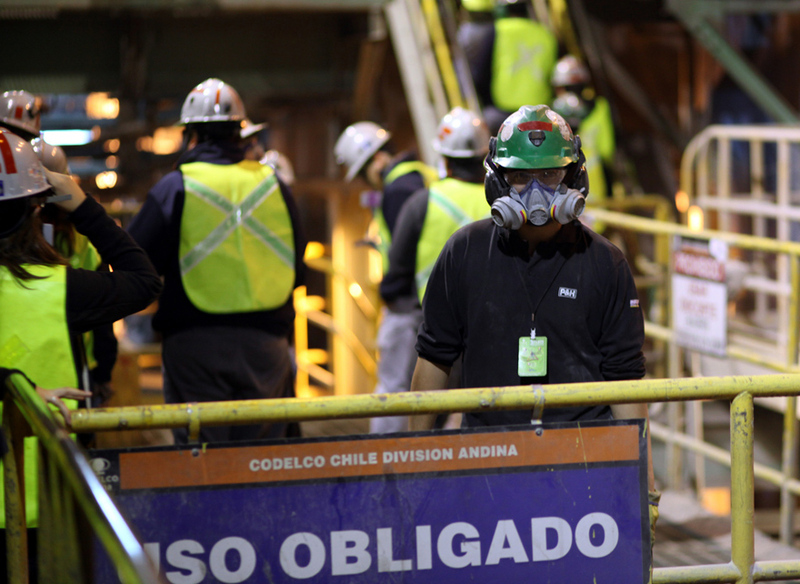 Contained metal at these 10 sites amount to 182.2 million tonnes. Monday’s close at $6,130 a tonne on the LME to Wednesday’s end of day price of $5,548 a tonne (up from a stomach-churning $5,353 earlier) turns into a combined loss (or writedown if you will) of value at the mines of $133.8 billion dollars. 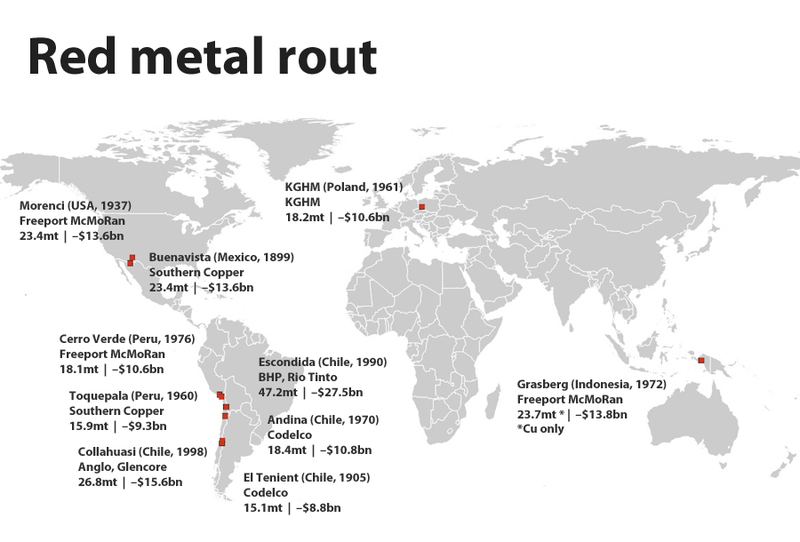 Of course these numbers represent money still buried in the ground, but it’s nevertheless a stark and sobering exercise to calculate just how much damage the red metal rout has done. And how happenings on faraway futures markets can wreak havoc on (and under) the ground. Australia’s third biggest iron ore miner Fortescue Metals Group (ASX:FMG) is expanding its customer base beyond China as concerns over the use of commodities as collateral for loans in the Asian giant has sparked recent volatility in prices for the steel making material. The company’s CEO, Nev Power, told The Age Fortescue had started supplying customers in South Korea, and wanted to test Japan and other Asian markets next. Despite Power’s confidence, the company stock got hammered Wednesday, as Sydney-based investors rushed to sell off iron ore miners fearing of a further fall in the commodity price, which is currently trading at about US$106 a tonne. Fortescue shares fell 3.5% to close at $4.63. Of more concern is the fact that the stock has now fallen over 20% this calendar year, basically mimicking the drop in iron ore spot prices. Worries over an economic slowdown in China — the world’s largest iron ore importer — have contributed to the industrial metal’s 21% drop so far this year, placing the commodity firmly in bear market territory. Speaking at the Macquarie Australia Conference, Power said he expected the current volatility in iron ore prices to blow over soon. He added there already are some positive signs, such as the joint US$1bn bid by China’s Baosteel and Aurizon (ASX: AZJ) for Aquila Resources (TSE, ASX: AQA), which he considers a vote of confidence in the Australian mining industry and the iron ore market. Despite market conditions and endless reports announcing the end the so-called mining boom, Australia’s iron ore miners managed to add over $65 billion to their value this financial year, reports The Australian. The gains come as iron ore prices have defied expectations, remaining above $130 a tonne, and confidence grows in the strength of prices of Australia’s biggest export. The steel-making material is up 23% from its 2013 lows struck at the end of May, as Chinese spending on infrastructure boosted Australian iron ore exports to record highs. The price surge has benefitted giant and medium producers alike. BHP Billiton (ASX:BHP) and Rio Tinto (ASX:RIO), for instance, have seen their shares jumping 25% and 21% respectively. But the is rest of Australia’s iron ore players, which seem to be the big winners. Mount Gibson Iron’s (ASX:MGX) has gained a whooping 111% since June 30, Arrium’s (ASX:ARI) has climbed 93% and Fortescue Metals Group (ASX:FMG) has risen 92%. The iron ore price revival comes after a recent report from the World Steel Association showed global crude steel production in September rose to a rate of 4.42 million tonnes per day — a strong 4.6% month-on-month surge and 6.1% jump over last year’s figures. Canada’s economy shrank 0.1% in August, the first drop in six months, driven mainly by depressed manufacturing and energy sectors, Statistics Canada said Wednesday. Hardest hit were mining and oil extraction operators, with the sector shrinking 0.7% Excluding oil and gas extraction, mining fell 2.8%. Metal ore mining declined 4.7% as a result of decreased output at copper, nickel, lead and zinc mines as well as at gold and silver ore mines. Statistics Canada said scheduled maintenance affected metal ore output in August, while non-metallic mineral production fell 2.6% as a result of decreases in output at potash mines. Oil and gas extraction declined 0.4%, as a drop in crude petroleum production outweighed an increase in natural gas extraction. Maintenance activities at some oilfields affected crude petroleum output in August, the statistics agency said. Overall, StatsCan noted shrinking output in 10 out of 18 industrial sectors. Gold has now lost 6.5% or more than $110 of its value over the past month as continuing good economic news out of the US boosts the dollar and diminishes gold’s allure as an inflation hedge and storer of wealth. The employment data is also the final chance voters have to assess Barack Obama’s record on the economy before next week’s US presidential election. You are currently browsing the archives for the SHARES STOCKS BONDS category.